I have a natural bias to think the worst places have the most potential, I’m a born renovator. 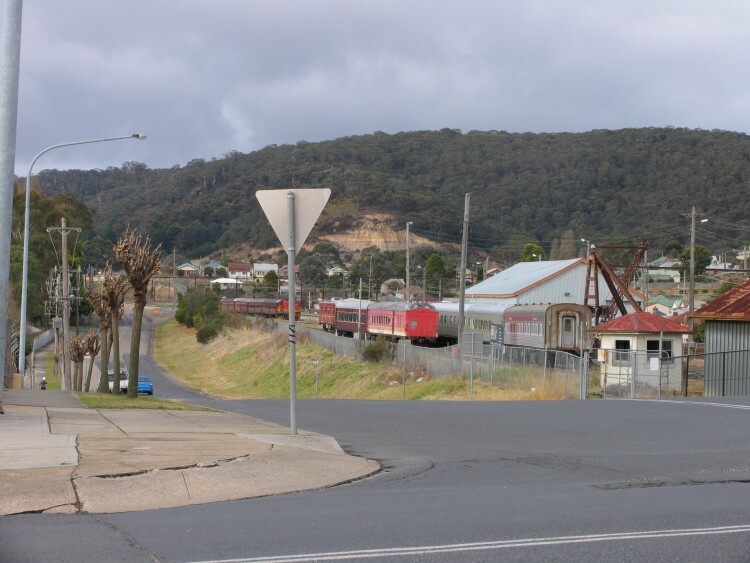 Inch Street is without doubt one of the worst places in Lithgow, drab, ugly and generally unlovable. When Lithgow Council got a grant from XStrata Coal to fund a cultural study into heritage assets in the town I was involved both because I was an artist who also worked with heritage management and I was community representative on several council committees like the environment and economic development advisory committee. Inch Street is an ugly street connecting many of the most important heritage areas like the Union Theatre, Eskbank Station, Eskbank House and Blast furnace Park. Working with the Council officers we came up with the idea to turn it into a history avenue lined with sculptures celebrating major moments in Lithgow history. This could be both a tourist attraction and something to educate even Lithgow people themselves about their extraordinary history that most of them hardly knew. When it finally happened just after I left town it’s twenty three sculptures by my friend Phil Sparks and others he had organised became the only lasting effect my ten years there had on the place. And I got one line thanking me on the council website to go with my own small plaque that I was given at the opening.